Today was LO's six month birthday, and we celebrated by going on a mini shopping spree at Babies R Us and later some mini cupcakes. She's been such a joy to have, and so easy going and always happy. I couldn't ask for a better baby! It's the perfect week for her birthday too, since this weekend is Tet. What fun that will be for her! 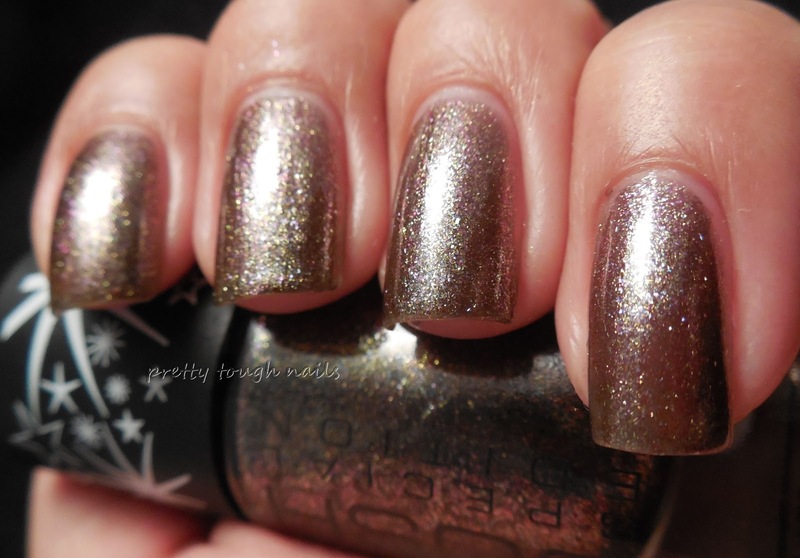 Tonight's mani is a simple and quick one, this is GOSH Galaxy, a sparkly gold foil with a hint of pink flakes. 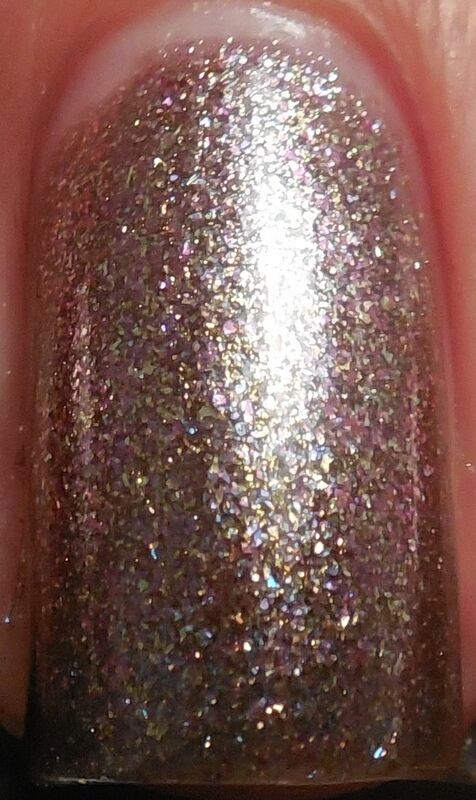 It has the same finish as Zoya FeiFei and OPI The World Is Not Enough. Application was easy, I used two coats for this finish and no topcoat. The color s super pretty but not quite what I was expecting... I was hoping it would be more gunmetal or silver rather than gold. When I think Galaxy I don't normally think gold I guess. Do you like this color?